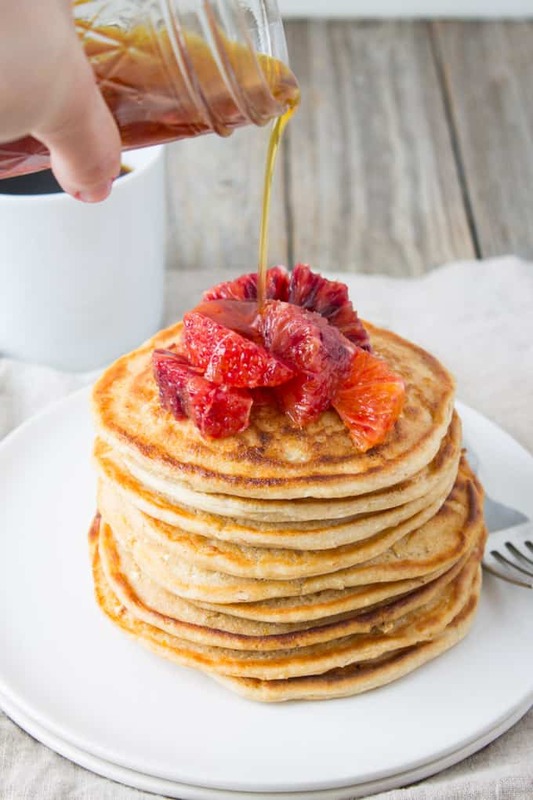 Perfect for hibernating on a cold winter Sunday morning, these Blood Orange Whole Wheat Ricotta Pancakes are deliciously fluffy and rich and indulgent tasting. I grew up on pancake mix. And I must tell you my grandmother made some pretty darn delicious pancakes out of that mix. They were always fluffy but brown and crispy on the edges. I never felt slighted in any way that we didn’t make homemade pancakes growing up, because … well, that was all I knew. But once I started making pancakes from scratch, I quickly learned it was well worth the extra effort. 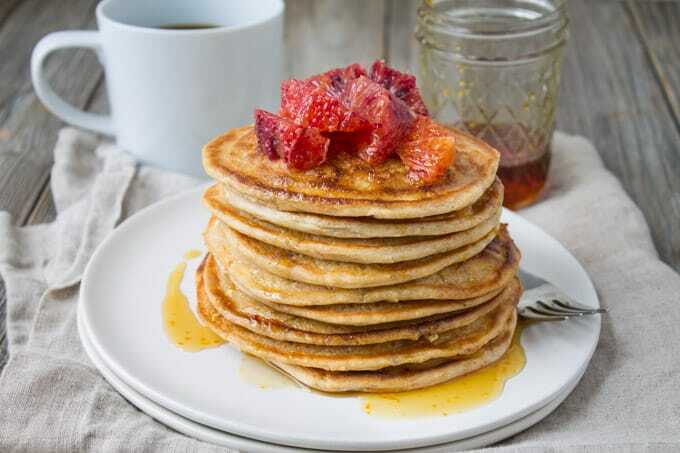 Like this recipe for Blood Orange Whole-Wheat Ricotta Pancakes. It’s perfect for the winter months when citrus is in season. The blood orange adds a hint of refreshing, sweet and tart citrus, and of course a beautiful, bold color. Plus, the ricotta not only adds an extra protein punch, but lends a fluffy, rich and indulgent consistency. For my full recipe, head on over to Food Network’s Healthy Eats Blog. Thanks so much, Deborah! Feel free to email me the deets about the linkup! i loveeee adding ricotta cheese to pancakes. They make them so moist and fluffy. Beautiful photos. The blood orange really add a pop of color and freshness. Totally!! Me too. Thanks, Julie! Thanks, Liz! Let me know how they turn out if you try them! I love all things blood orange. These look and sound fantastic! That’s quite a stack! 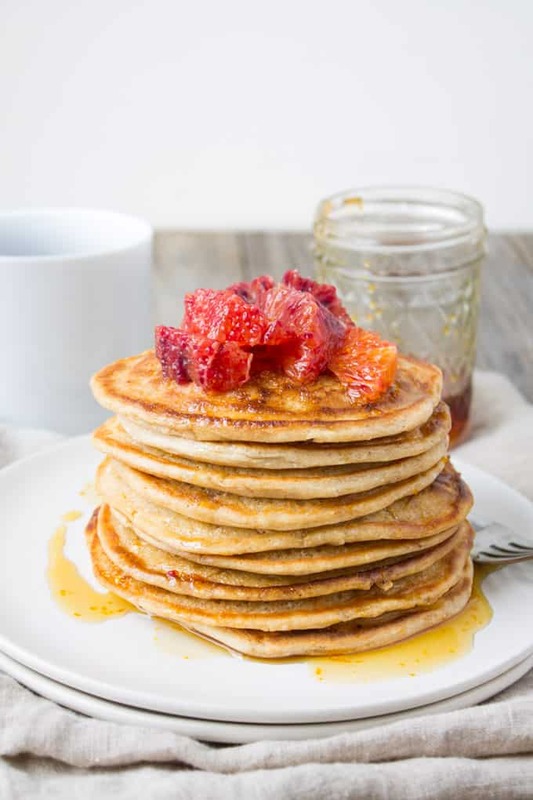 I’m crazy about ricotta pancakes and love how you’ve mixed it up by using blood orange. Beautiful. Thanks, Katie! Haha yes, tallest stack of pancakes ever. 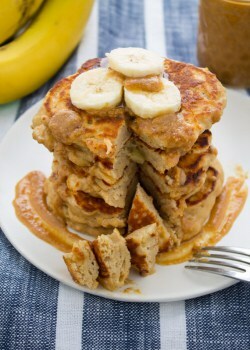 I am currently obsessed with ricotta pancakes, definitely going to try these this weekend! You and me both, my friend! Hope you enjoyed! 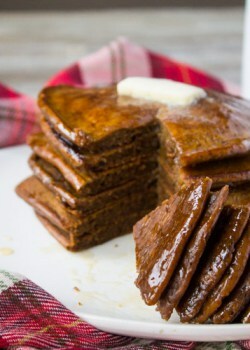 Oh how I want to bite into a stack of these pancakes! 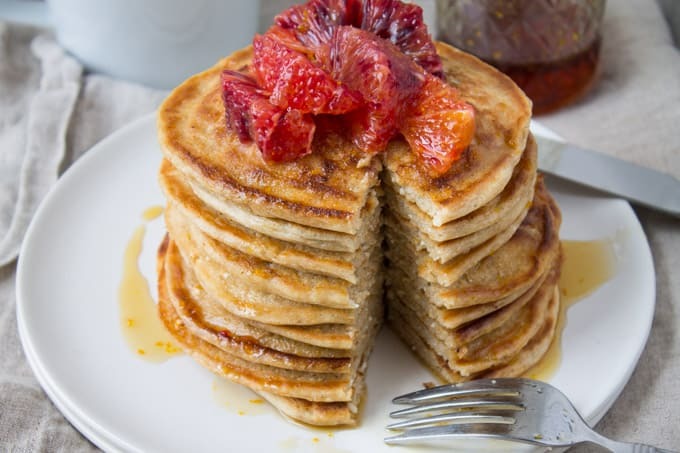 I LOVE ricotta pancakes and the addition of the blood orange is quite the added bonus. Gorgeous pics too! Thanks, Jessica! Aren’t ricotta pancakes just the BEST?! I think blood oranges win the prize for prettiest citrus. Looking forward to checking out this recipe! Thanks, Amy! I couldn’t agree more! Oh my gosh – you got that perfect brown edge around these! Wow! And they are so delightfully healthy – love the addition of ricotta and the pairing with blood orange – this stack makes me long for summer! Thanks, Shashi! Yes, summer can’t come soon enough! It’s funny – citrus reminds me of summer too even though they’re winter fruits.